Your walk down the aisle starts here. Located in the heart of Downtown Grand Rapids, BIANKA Bridal is our sweet spot. Our boutique is full-service, family owned, and fueled by love. We are whole-heartedly dedicated to every bride. 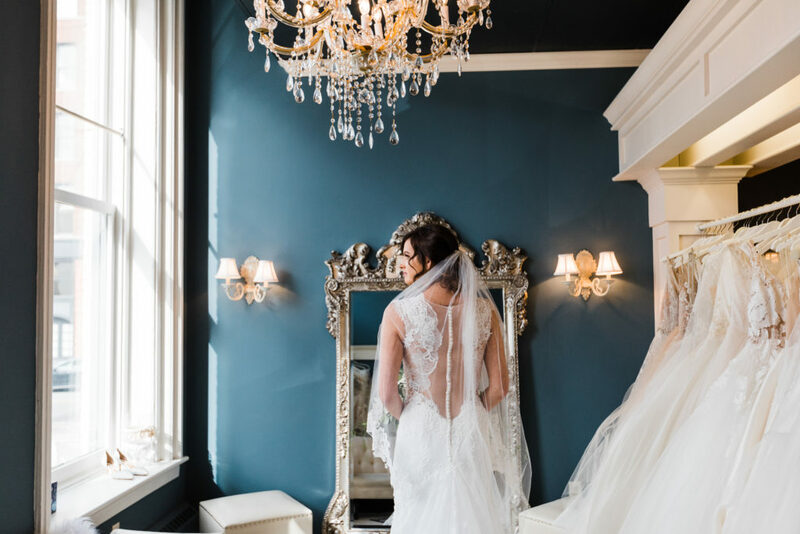 Our passion is to create an experience you will remember as the highlight of your wedding planning process; the day you found the gown of your dreams. Our private appointments are a personal experience between you, your key-crew, and one of our highly-trained bridal consultants. 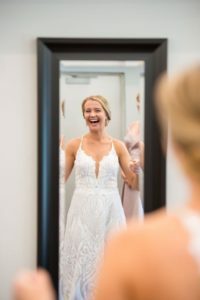 During our 90 minute appointments, our consultant goes through a personal interview process to better understand you and your unique, one-of-a-kind style as a bride and bring you the best of the best. In our intimate, private bridal suites, you will have the opportunity to focus on your individual shopping experience. 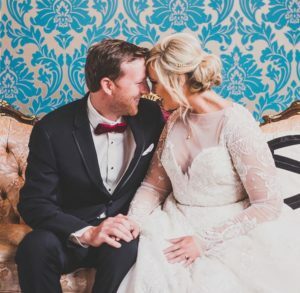 Our consultants are trained to find your favorite, listen to feedback, and rule out the rejects, so that you can find your extra-special dream dress. I bought my wedding dress, earrings and veil from here. My dress consultant, Lizzie, was so so helpful and truly understood my vision and was so patient with me as I tried on dozens of dresses ... They really listened to me and took the time to help me find my perfect wedding dress and I couldn't be happier. ... I would recommend Bianka for every new bride looking for a beautiful and unique wedding gown! Where do I even start? BIANKA Bridal honestly made my entire engagment better. They are some of the kindest, funniest, most supportive and HELPFUL women I've met... They care about you more than just a dress sale, they want to get to know you, understand your vision, help you with advice or opinions with your planning because they genuinely care about their brides - we are not just a number to them, we ARE them. I could not imagine my wedding planning/engagement period without them and anyone looking for a magical dress and some incredible women, don't hesitate - get there asap. So excited to be a Bianka Bride! I knew as soon as it was time to plan my first dress shopping experience, that we had to go to Bianka Bridal ... We were their last appointment on Friday afternoon so we had the salon to ourselves. Lizzie was amazing! She listened to what I wanted and pulled the gowns I told her I loved. She also pulled some that I never would have tried on but wound up loving! My group of girls, Lizzie, and Maria (one of the owners) all cheered as I said yes to my Hayley Paige dream dress. Thank you so much girls! You made my day a dream! I cannot say enough great things about my experiences at Bianka Bridal! First of all; I am a plus sized Bride. In the midst of wedding dress shopping I had been so discouraged until I came to Bianka Bridal. The consultants made me feel so comfortable & stunning...the way a Bride should feel! 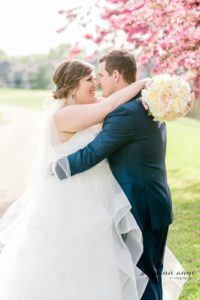 The consultants bent over backwards to show me their wide selection... Not only did they make my experience fun and easy; they made me feel like any other normal bride, even though I'm plus sized. ... To sum it up: the women at Bianka Bridal are knowledgable, sweet, hard working, and willing to go to the ends of the earth to make their Brides happy! I will recommend them till the day I die. Cheers ladies!! You helped me in this process to make my wedding day the best day of my life. I am forever grateful to you! I cannot say enough good things about this place! I'm getting married in September and this was my first time visiting a bridal shop ... I was searching for an intimate, private, yet fun place to go and I found exactly that at BIANKA Bridal. ... My consultant was Amber - she knew exactly how to handle me and give me the right amount of options... without overwhelming me. I'm SO incredibly happy that I was able to walk away with my dream dress. Not only am I still beaming from walking away with my dress but the overall experience. Thank you BIANKA Bridal!!!!! I cannot say enough good things about this bridal salon. I went in with a budget and a pretty specific dress in mind. Aleisha helped me find the dress of my dreams. It was the first dress I tried on. I was very happy that she did not even show dresses that were not in my budget. This salon was VERY clean, personable, and friendly. If i were to ever go back i would recommend Aleisha to everyone, she knew exactly what she was doing, and we were able to add a belt and a veil in to the order and still meet budget. She was great along with the few other staff members we ran into.